Lightweight PE tarp 100 gr/m² for standard purposes. Welded seam all around, integrated PP rope and aluminium eyelets every 100cm. Lightweight PE tarps 100 gr/m² are suited for standard and short-term covers (max. 6 to 12 months in West European climate). 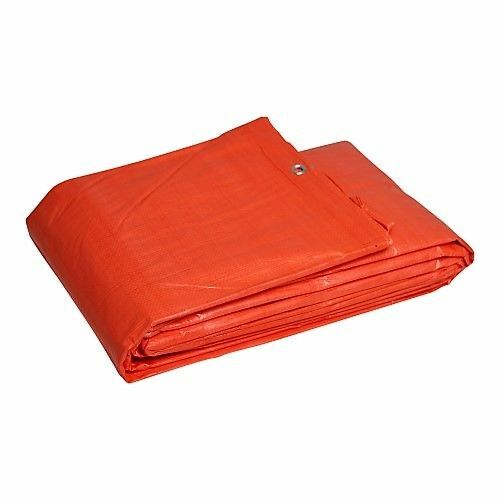 These tarps are often used as protective wrapping of goods during transport, or as temporary cover of building materials, firewood, roofs, cars, straw, hey, boats etc. For heavy-duty applications or long term coverings, we advise you to use our PVC tarps. Short term covers of max. 12 months.